Breeders Connection 2019: Cow Burps & Climate Change–A Bunch Of Hot Air? “Even if Americans eliminated all animal protein from their diets, they would reduce U.S. greenhouse gas emissions by only 2.6 percent,” says Frank Mitloehner, professor of animal science and air quality Extension specialist at the University of California, Davis. Photo courtesy Beef Checkoff. Climate change is a big topic of discussion in the media today, and as consumers place a greater emphasis on reducing their carbon footprints, they are often being pressured to go meatless. In fact, according to a recent study conducted by OnePoll, plant-based diets are increasing in popularity with more than half (52 percent) of Americans currently trying to incorporate more plant-based meals into their diets. What's more, the study showed that 18 percent of Americans have tried a vegetarian diet and 5 percent have gone vegan. Fox News reported on the study, which revealed that a whopping 42 percent of Americans would be willing to cut meat out of their diet and another 46 percent would consider cutting dairy. Perceived health benefits aside, the increased societal pressure to ditch animal fats and proteins may stem from an inaccurate, and now debunked, 2006 U.N. Food and Agriculture Organization (FAO) 2006 report titled, "Livestock's Long Shadow," which erroneously claimed livestock production accounts for 18 percent of the nation's greenhouse gas (GHG) emissions. A recent beef sustainability assessment conducted by researchers Ashley Broocks, Emily Andreini, Megan Rolf and Sara Place, at Oklahoma State University, found that beef contributed just 1.9 percent of total U.S. GHG emissions, while landfills accounted for 2.2 percent; transportation 25.3 percent; electricity 29.7 percent; and other sources of human consumable goods, 40.9 percent, per EPA's annual inventory for GHG emissions. According to the assessment, "today's use of higher-quality feeds, less heat stress, improved animal genetics, improved reproductive performance and faster growth rates in U.S. beef production have decreased GHG emissions per pound of beef by 9-16 percent when compared to 1970s beef production." Yet, the push for Meatless Mondays and vegetarian diets persists. "Many people continue to think avoiding meat as infrequently as once a week will make a significant difference to the climate," said Frank Mitloehner, professor of animal science and air quality Extension specialist at the University of California, Davis, in a recent academic review. "But according to one recent study, even if Americans eliminated all animal protein from their diets, they would reduce U.S. greenhouse gas emissions by only 2.6 percent. According to our research at the University of California, Davis, if the practice of Meatless Monday were to be adopted by all Americans, we'd see a reduction of only 0.5 percent." If the hype surrounding livestock is just hot air, does the beef industry need to worry about a real problem with GHG emissions or are producers just fighting misguided public perceptions? When evaluating what it takes to get a steak from pasture to plate (often called a cradle-to-grave analysis), recent data shows cow belches are the number-one contributor of GHG emissions. So what if the industry could reduce the frequency and volume of cow burps? How big of a difference would that make? "If methane emissions can be consistently reduced, it can improve the efficiency of the industry," said Sara Place, senior director of sustainable beef production research for the National Cattlemen's Beef Association (NCBA), who explained that methane is a loss of the energy value in feed. 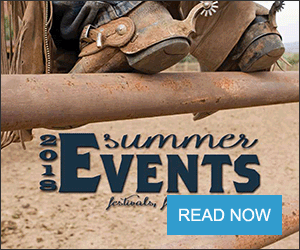 "The industry does have a strong track record of reducing emissions through the advancements that beef producers have made in productivity through better animal genetics, animal nutrition, and health and husbandry practices. Continuing that strategy of adopting the latest science will keep producers on the path of being a solution to climate change." Place cited several ongoing research projects in the U.S. that are examining the impacts of cattle grazing on carbon sequestration. "In certain landscapes, especially those that may have been degraded with poor management in the past, carbon sequestration is a promising way to lower GHG emissions from beef production by offsetting emissions," said Place. "However, we need a lot more research in this area to be confident in the extent of this opportunity. Carbon sequestration is generally recognized to reach a point of equilibrium within soils over the long-term, so high rates seen in some research are unlikely to continue forever. But, carbon storage in current soils is also critical. 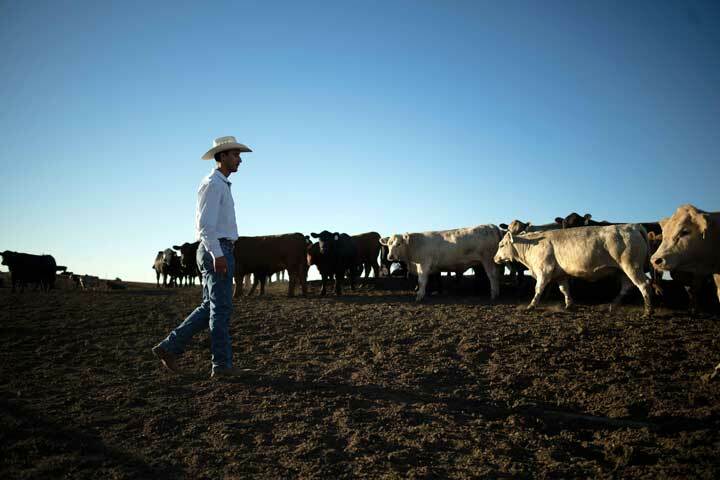 Cattle producers are less than 1 percent of the U.S. population, but they are one of the key managers for the 40 percent of the U.S. land area that is grasslands. Anything producers can do to improve the management of those landscapes, or continue good management, has a huge impact." Other tangible solutions for reducing the volume of cow burps are being looked at, including the development of feed additives from sources such as seaweed. "There are novel feeds and feed additives being investigated to mitigate methane emissions, such as seaweed, but importantly, there are also well-known strategies that are already widely adopted," said Place. "For example, feeding more concentrate feeds, such as corn grain, is well-established to consistently lower methane emissions from cattle. 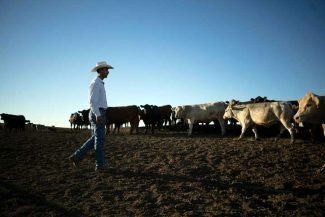 Consequently, the grain-based finishing system within the U.S. means lower methane emissions from the U.S. cattle herd. This translates into approximately 2.5 lbs. of grain dry matter per lb. 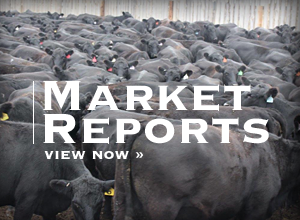 of beef carcass weight produced when considering the animal's entire life cycle feed intake." Place says much of the research into new feed additives and novel feeds to mitigate methane is in its early days. A company called Mootral has developed a mixture of garlic and citrus extracts to reduce enteric methane emissions. Place says a second company called DSM has a product (3-nitrooxypropanol, 3-NOP) that is a molecule which inhibits one of the enzymes responsible for the production of methane. "Both products have research that estimates 30 percent reductions in methane emissions," she said. "However, if there are no clear animal performance improvements for these products, it will likely be hard for them to justify their cost to the producer (currently unknown). Alternatively, if there was a market premium for cattle fed these products that could justify their use; however, such marketing opportunities do not exist in the U.S. currently. Any solution in this space will have to be practical, not affect the end-product quality nor animal performance, be cost-effective, be scalable, and not indirectly increase emissions in another part of the beef supply chain." Ultimately, beef producers can play a role in mitigating climate change by continuing to do what they do best. Sequestering carbon by maintaining grasslands for cattle grazing rather than tilling for crops or developing land into housing is a good place to start. "Even if Americans eliminated all animal protein from their diets, they would reduce U.S. greenhouse gas emissions by only 2.6 percent," says Frank Mitloehner, professor of animal science and air quality Extension specialist at the University of California, Davis.